Details: Julian Gregory & the Classic Trio from the BBC Philharmonic orchestra present music from around the world including Jazz, Country, Latin American & Gypsy. Details: If you would like a good night, with good company, a fun recipe demonstration showing ways to save valuable time and energy with fantastic results in the kitchen! Tea and coffee will be provided but if you fancy something stronger please bring your own. Details: Michael Janisch is an award-winning electric & double bassist, composer, bandleader, producer, promoter, record label owner and educator who works across a broad spectrum of traditional, experimental, improvised and popular music. An American based in London, his multitude of talents across the music industry have seen him become one of the most active and in-demand musicians of his generation, as well as a lynchpin figure between US & European artists. He has performed with legends such as Quincy Jones, Sir John Dankworth and Lee Konitz and now comes to Yorkshire to present music from his critically acclaimed album ‘Purpose Built’, one of the most important releases in the UK in the last five years. The band features Paul Booth on tenor saxophone (Steve Winwood, Eric Clapton), Femi Temowo on guitar (Amy Winehouse, Soweto Kinch) and award winning drummer Andrew Bain (Dave Liebman, Jon Irabagon). Suitable for adults and children! Mince Pies,tea and coffeee, prizes for the winners, raffle. Details: A fun evening for all the family. Eyes down at 7.30pm. Light refreshments. Pay bar. Chick out the egg-ze-lent prizes! Details: Eldroth family walk and barbecue, meet at Village hall at 2:30PM. 3 miles (approx. ), with barbeque at Floyd’s (or at hall if wet). Sensible dogs on leads welcome. Details: Tricia Liedl & the Swing Time Trio from the BBC Philharmonic with special guest Ellie Turner debut at Eldroth village hall. 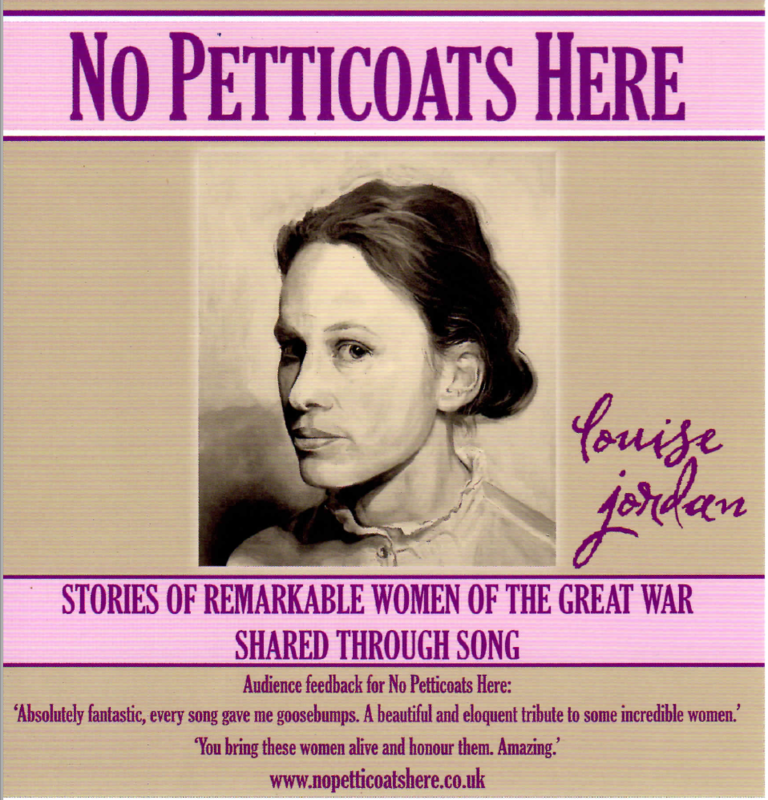 Featuring a new programme with a sing-a-long from WW1. No charge except for food and drink. Sensible dogs on lead welcome. 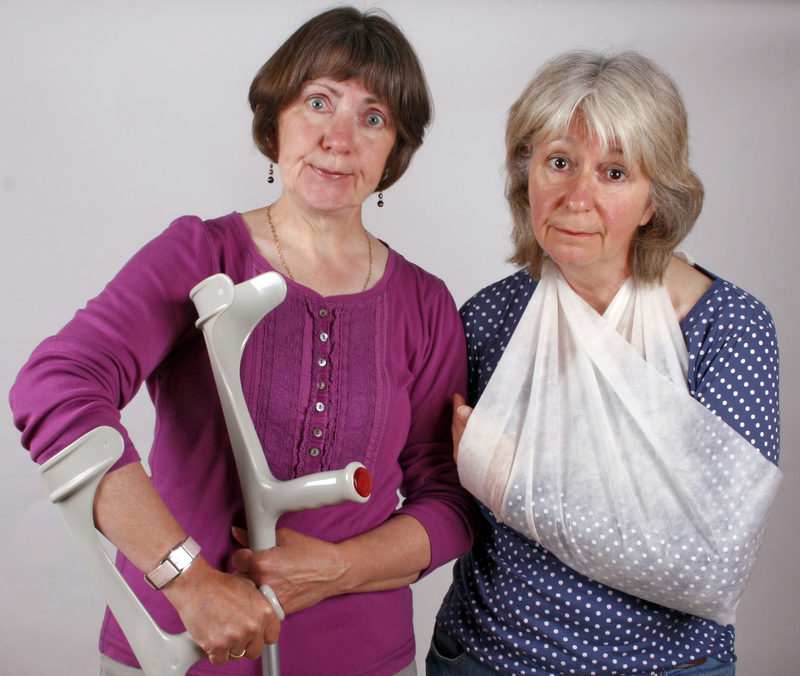 Comedy and drama duo Christine Hooley and Veronica Caperon appear in the autumn in aid of Eldroth Parish Hall with their 2015 show "The Lippy Logic Effect". The sketch comedy evening sits somewhere between Alan Bennett and Victoria Wood with a nod to Morecambe and Wise and The Two Ronnies. The audience will have a fly-on-the-wall view of how the Lippy Logic version of The British Bake-Off is crafted. 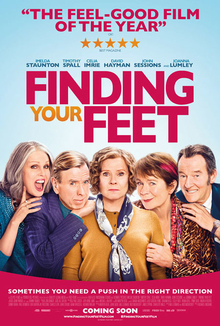 They can also enjoy an afternoon in Out-Patients with Verna and Cissie, and the touchingly funny exchange between two women torn by jealousy and betrayal. With little suitable material for ladies of a certain age to perform, Veronica and Christine just sit down and write their own. Their laugh out loud comedy and observational drama has been described as "clever writing and engaging performances” (Westmorland Gazette) and “so funny and most entertaining” (Darlington & Stockton Times) "scintillating wit, captivating chemistry" "Shoulder-shaking laughter" (2015 audience reaction). Details: Julian Gregory & the Classic Trio from the BBC Philharmonic orchestra takes us from Classical to Jazz and all stops between. 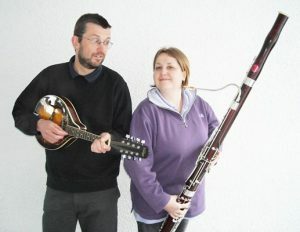 Jonathan and Charlotte Crossley will entertain us with their own unique combination of music, songs and humour. This brother and sister duo are talented musicians and singers playing a variety of genres including folk, blues, easy listening and classical. 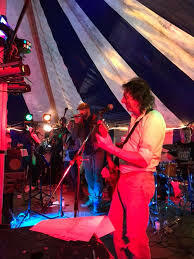 Those of you who attended Veronica’s presentation of Two Left Boots at Eldroth Church last year, will remember what a thoroughly enjoyable act they are. Drinks available at the Bar. 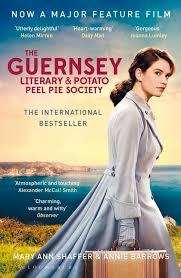 Meat pie supper included in ticket price of £12.50. 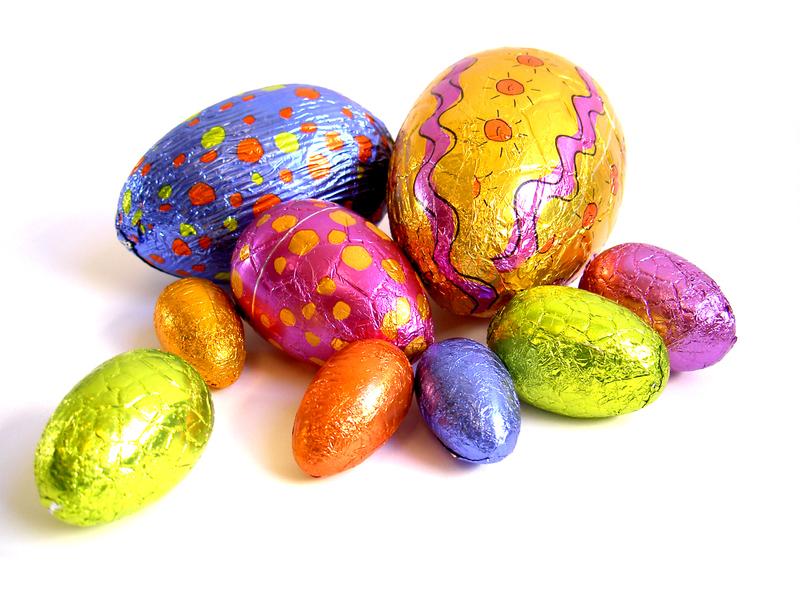 Join us for Easter Bingo - lots of lovely Easter and Spring time treats to be won! Dance the night away to all your favourite hits with local band Back From Beyond. 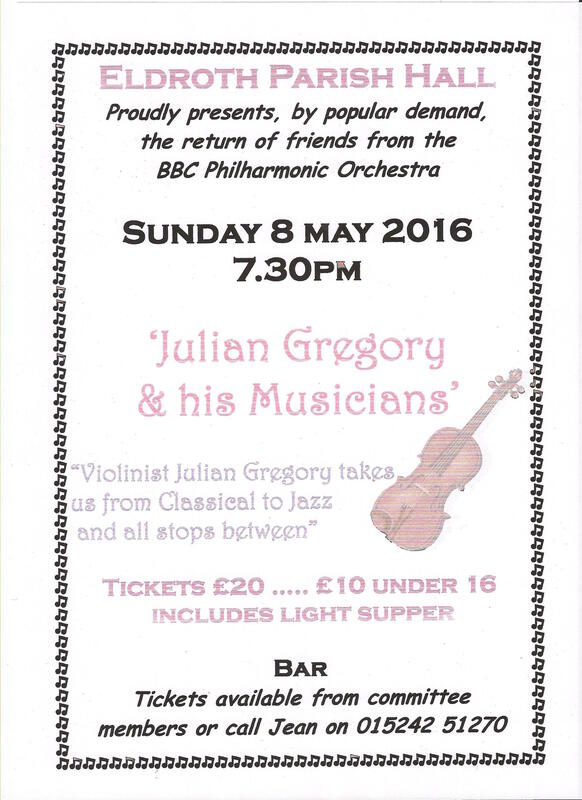 Join us for this fantastic night on Saturday 30th June. All welcome to enjoy the fellowship of Messy Church, singing, crafting, bible stories, great activities, fun games and enjoy a picnic together. Parish Walk for all ages. Meet at 11:00am at the Parish Hall, finishing at the barbecue at Floyd's . About three miles, options for short-cut back for the very old, very young and very weary! 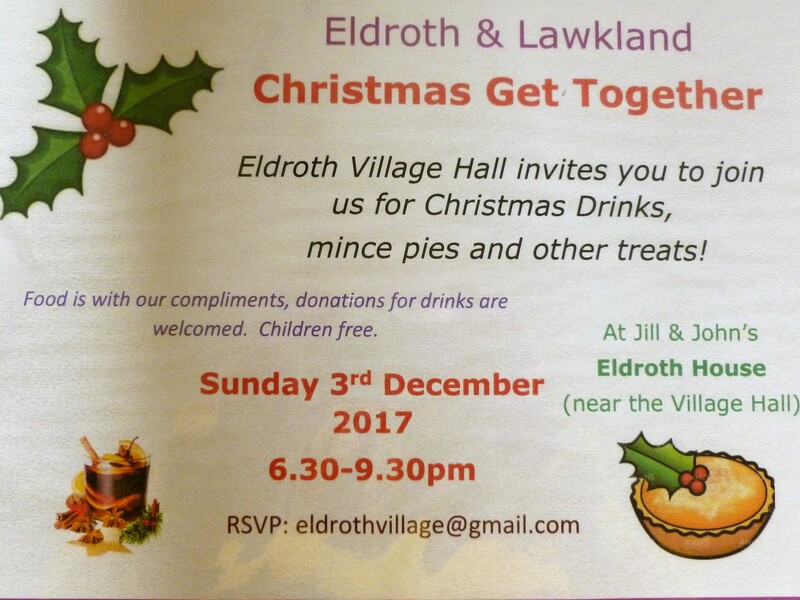 The Parish Hall Committee warmly invite all members of the communities of Lawkland and Eldroth to come along for food, drink, games and good company. There is no charge for the walk before or the barbecue, except for food and drink consumed. 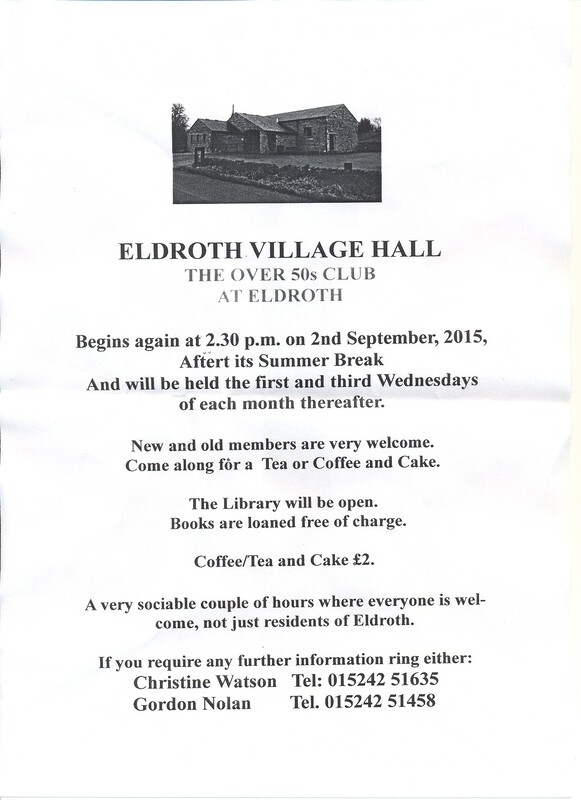 Eldroth Church invites you to a Ceilidh with Buttered Peas. 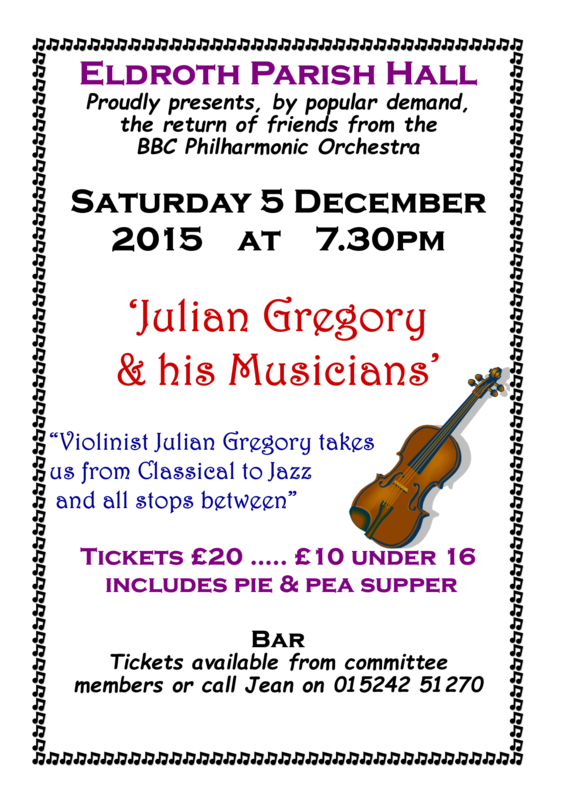 Tickets £8 or £20 for a family ticket including supper. All 7.30 pm start. Refreshments available. 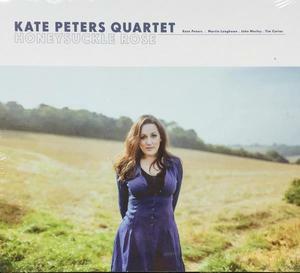 Kate Peters is an engaging and exciting performer who thrills audiences with her own take on classic jazz songs mixed with comtemporary numbers. 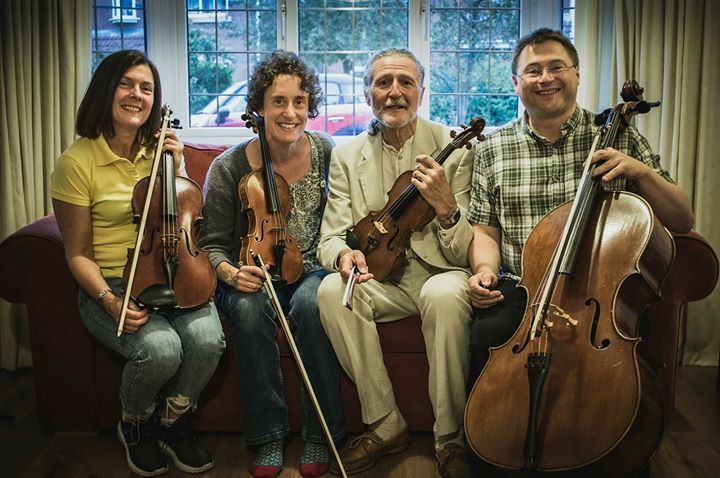 Accompanied by her trio of outstanding msicians comprising double bass, piano and drums, this will be an evening where everyone who loves live music will leave smiling! 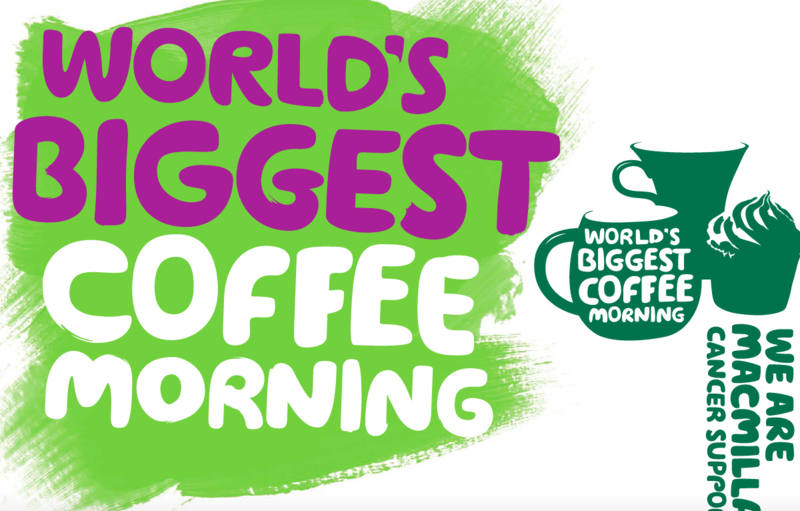 Join us for Macmillan Coffee Morning as we raise funds for Macmillan Support. Bring a cake for coffee and chat with cake and bric a bric stalls! 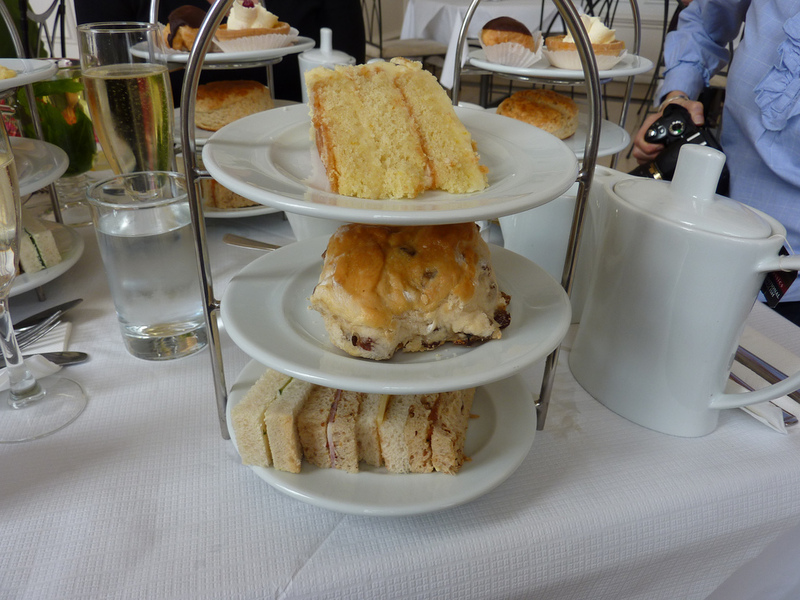 Austwick Parish Hall invites you to an Afternoon Tea. Raffle and prosecco on sale. Residents are welcomed to join the Meeting to discuss how we look after our local area. 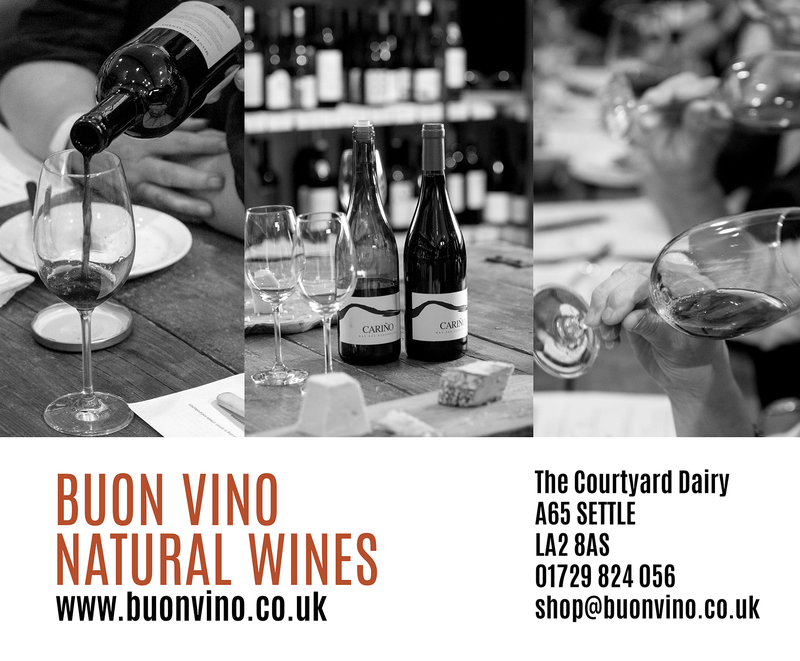 Experience some of the best natural wines accompanied by fine cheeses as Rob from Buon Vino and Andy from The Courtyard Dairy provide a superb taste sensation with an informal, humorous chat about what makes a good wine and cheese combination. You will be tasting at least 6 wines (including a fizz to start) and 5 cheeses all for only £20. Contact eldrothvillage@gmail.com or 07590252725 to book your place in advance as it's expected tickets will sell out fast! 7.30 pm start. Refreshments available. 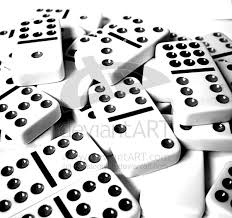 Join us for our annual family Christmas event - Dominoes! Prizes to be won for adults and under 16s. 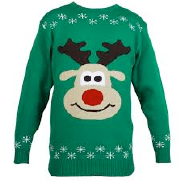 Raffle and festive refreshments including mulled wine and mince pies. 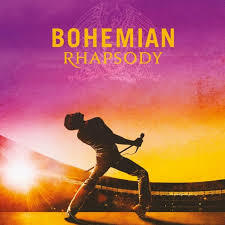 their music and their extraordinary lead singer Freddie Mercury. 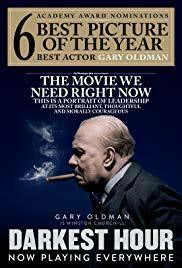 Starring Rami Malek .Winner ‘ Best Actor’ BAFTA Award. 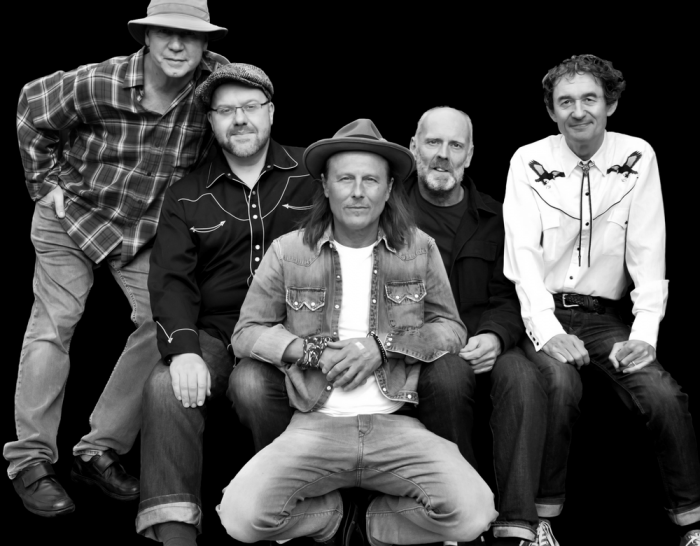 We welcome Stevie Williams and the Most wanted Band as part of Rural Arts on Tour. "Stevie and his band know how to blend momentous melodies, wistful thinking & insightful lyricsover skilfully crafted songswith zeig-like skills, tapping into arange of vintage sounds infused with impressive guitar and lap-steel guitar licks." 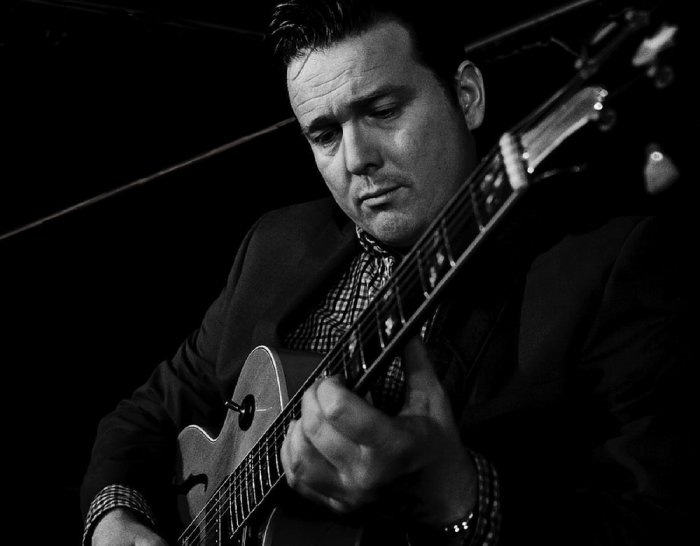 As part of Rural Arts on Tour, we welcome "outstanding British jazz guitarist, Sam Dunn, a regular performer at Ronnie Scotts, who is joined by Matt Ratcliffe on organ and Ian Beestin on drums. The trio will have your toes tapping one moment and listening intently the next as the trio move from fast, latin, swing and funk to lush, warm ballads."